Jerusalem (AFP) - Israeli President Reuven Rivlin appeared to challenge a longstanding taboo on talks with the militant Islamic Hamas on Wednesday, saying he favoured dialogue with everybody. 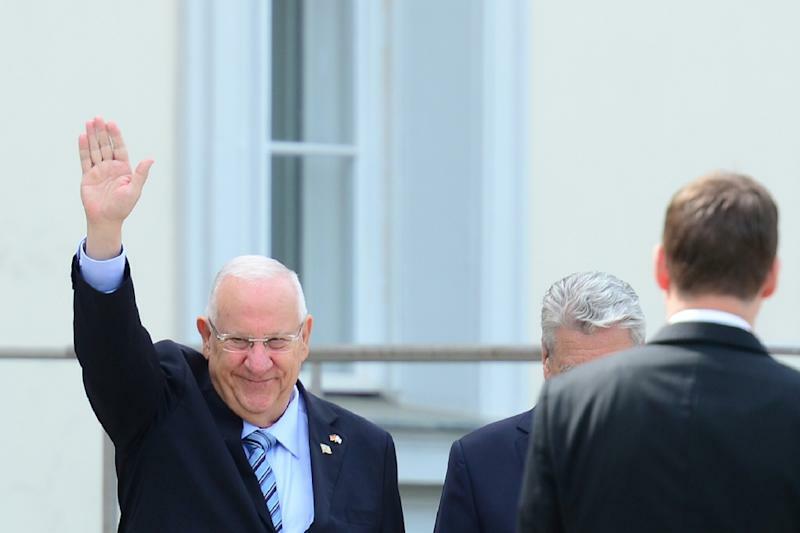 The role of president is largely ceremonial, but during a tour of northern Israel a reporter asked Rivlin his opinion on talks with Hamas, the de facto power in the Gaza Strip. "It is really not important to me with whom I speak, but rather about what we are speaking," he replied in remarks broadcast on television and radio. "I have no aversion to holding negotiations with anyone who is prepared to negotiate with me," he said. "The question is what they want to negotiate about. If they want to negotiate my very existence, then I would not negotiate with them." Israel, along with much of the international community, maintains a ban on overt, direct contacts with Hamas, although it held indirect truce talks through Egyptian mediators after last year's war in Gaza. Hamas' leader in Gaza, Ismail Haniya, said after the fighting that there would be "no direct negotiations with the Zionist enemy." The movement's military wing was added to the European Union's first-ever terrorism blacklist drawn up in December 2001 in the wake of the September 11 attacks on the United States. The EU then blacklisted its political wing in 2003. Israeli Prime Minister Benjamin Netanyahu has described Hamas, along with the Islamic State jihadist group, as "branches of the same poisonous tree". But two weeks ago the general responsible for Israel's border with the Gaza Strip said the Jewish state and Hamas shared some goals. "We have an interest in someone being responsible for the Strip, because otherwise there will be chaos there and the state of security there will be far more problematic," Major General Sami Turgeman said. "Israel and Hamas have common interests, of peace and quiet for growth and prosperity, even in the present situation." Israeli warplanes struck the coastal territory early Wednesday after a rocket was fired into the Jewish state. Palestinians said nobody was hurt in the raids on Islamic Jihad training camps. Israel's defence minister said it was that group's militants who fired the missiles, but his government nevertheless says it holds Hamas responsible for attacks launched from its territory.